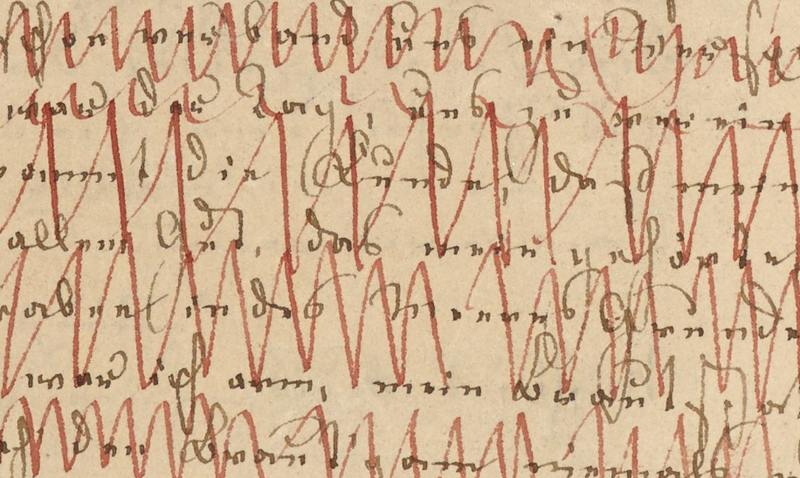 From MS 120 – French translation of ‘Das Liebesverbot’, a marginal diagram relating to metrical structure. Richard Wagner was one of the most influential and controversial composers ever to have lived. With his concept of the Gesamtkunstwerk (“total work of art”) – by which he sought to synthesise the poetic, visual, musical and dramatic arts — he revolutionised opera and gave birth to such masterpieces as Tristan und Isolde and the epic four-opera cycle Der Ring des Nibelungen. If his music was sublime, his political views regarding “race” were far from it — in his writings he frequently expressed anti-semitic views (particularly in his racist tract Judaism in Music). The beauty of his music and the vileness of some of his political opinions (complicated by the fact that he was reported to have had life-long Jewish friends), make him a continuing source of intrigue and debate for scholars the world over. 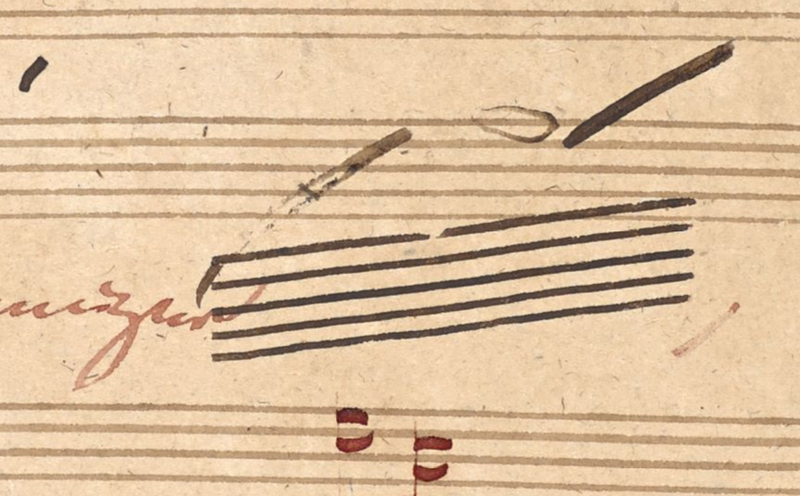 In 2013, to mark the 200th anniversary of his birth, the British Library made available online its collection of Wagner manuscripts, mostly from early on in his career. 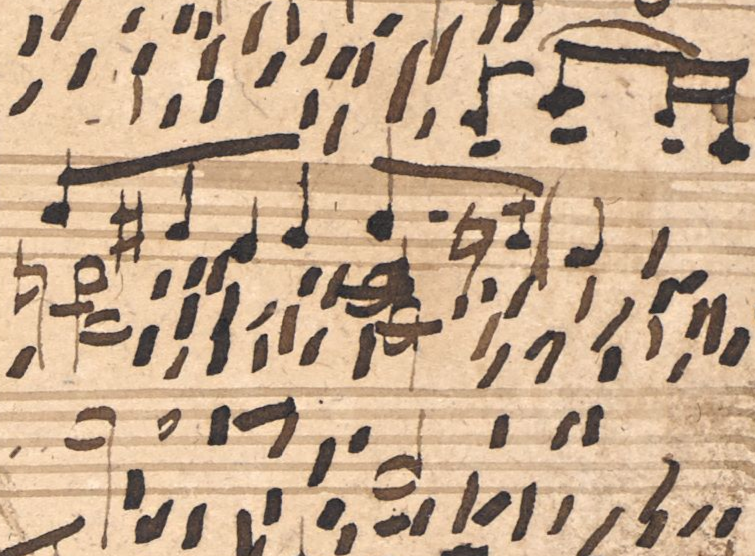 The manuscripts come from the huge music-related manuscript collection of the great Austrian writer and music obsessive Stefan Zweig (whose writings, incidentally, passed into the public domain in 2013). 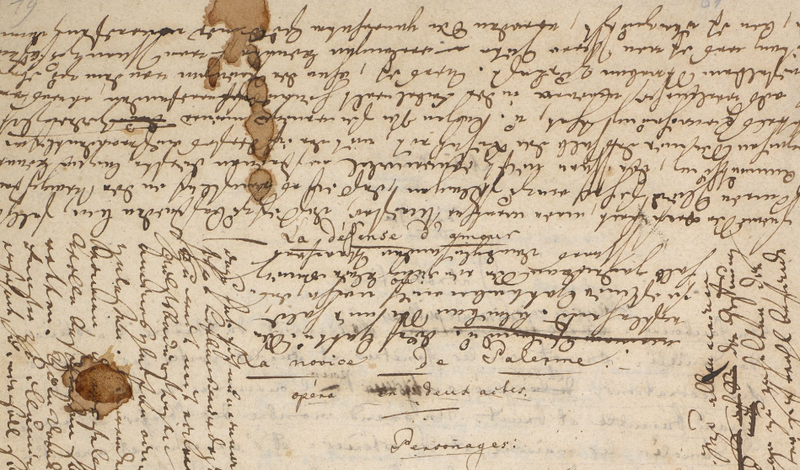 Zweig acquired the Wagner manuscripts in 1937 while residing in England in exile from the Nazi regime. After his death in 1942 they went into the possession of his family who donated the collection to the British Library in 1986. Taking advantage of the wonderfully high resolution versions presented on the British Library site, we present below a selection of magnified sections from the collection. 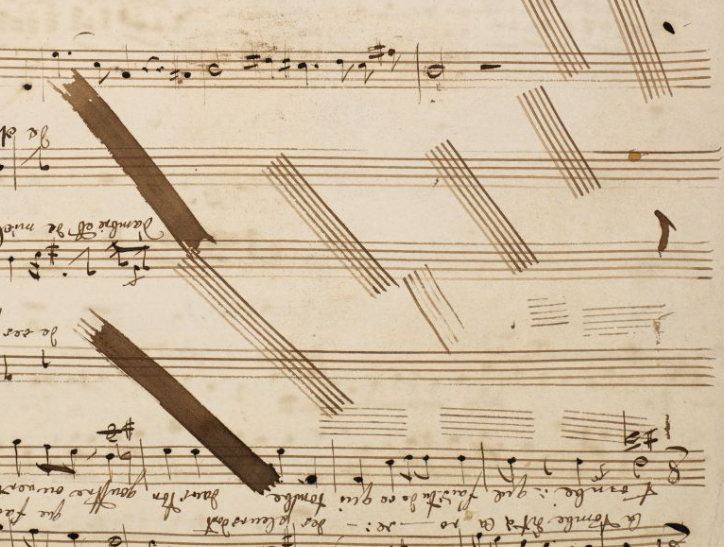 To read more about the collection see the post in the British Library blog — and to see the collection itself visit the British Library Digitised Manuscripts and search “Richard Wagner”. 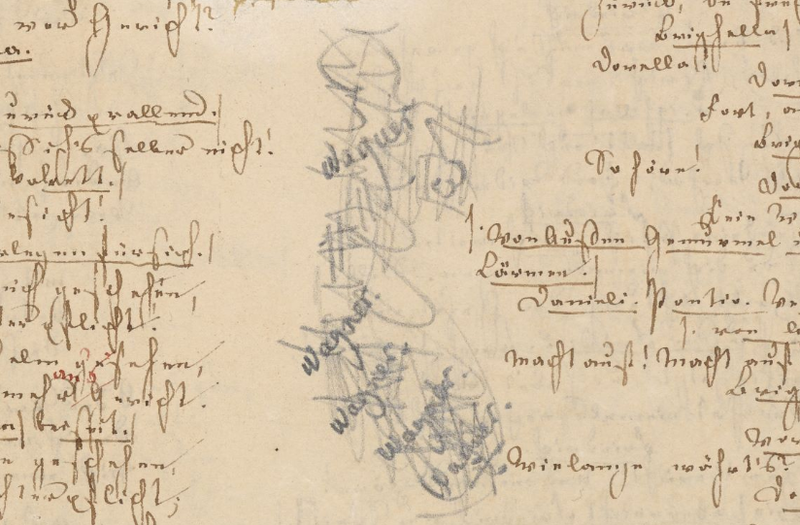 From MS 119 – pencil doodlings on the name Wagner. (We are not clear if these are actually by Wagner himself!). 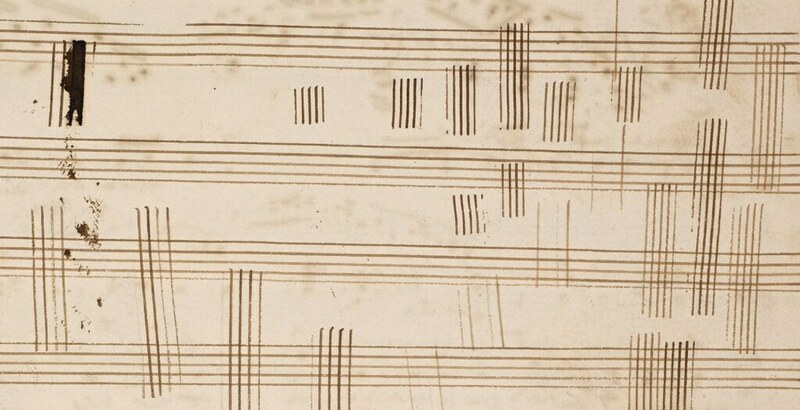 From MS 110 – Vocal line and text of ‘La tombe dit à la rose’. 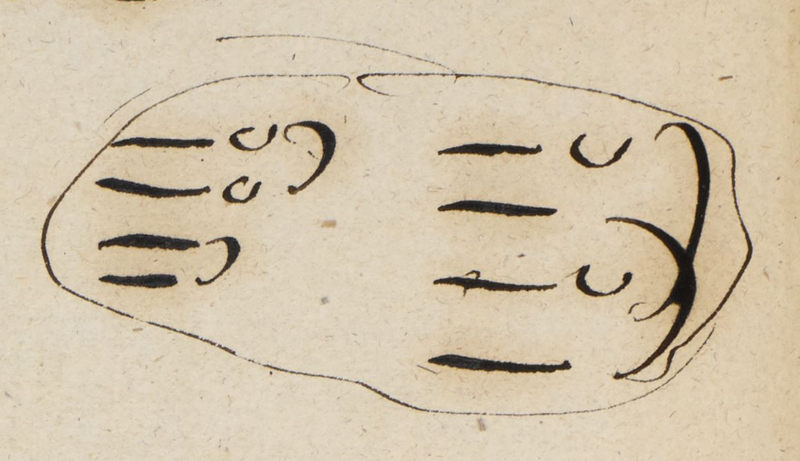 From MS 120 – French translation of ‘Das Liebesverbot’. 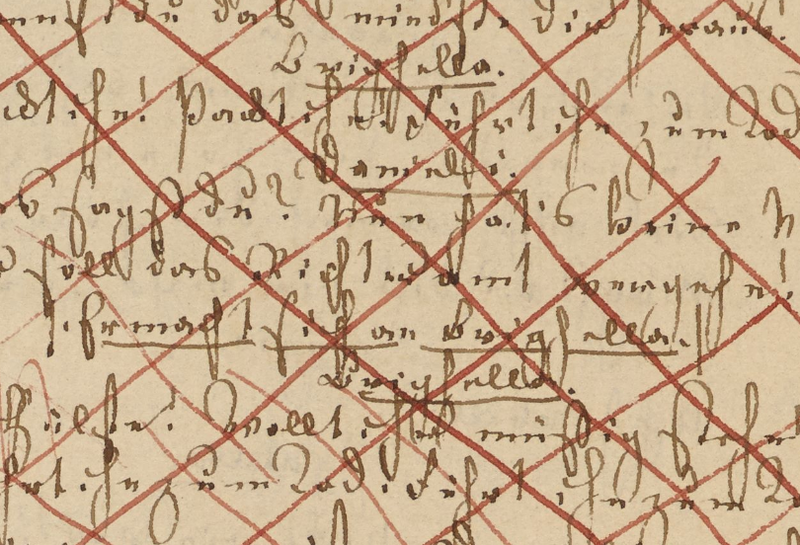 From MS 115 – Wagner’s corrections in red ink of the copyist’s score of ‘Der fliegende Holländer’. 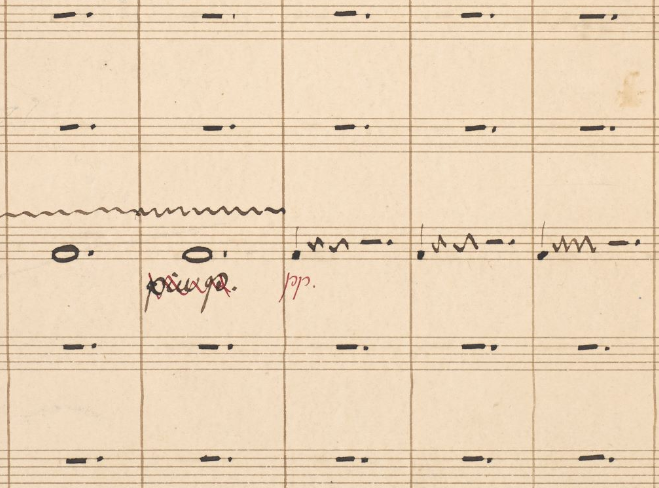 From MS 109 – Wagner’s score of Overture in D, ‘Rule Britannia’. 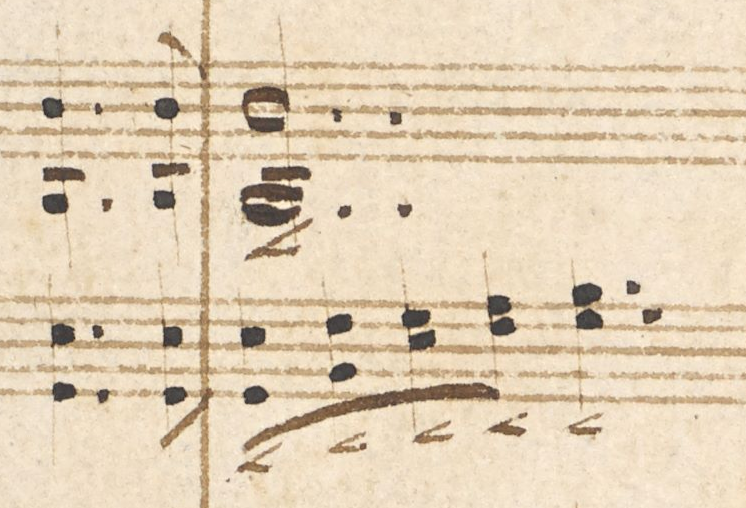 From MS 99 – The earliest manuscript in the collection, Overture in E minor to Ernst Raupach’s König Enzio from 1831 written when Wagner was just 18 years old.